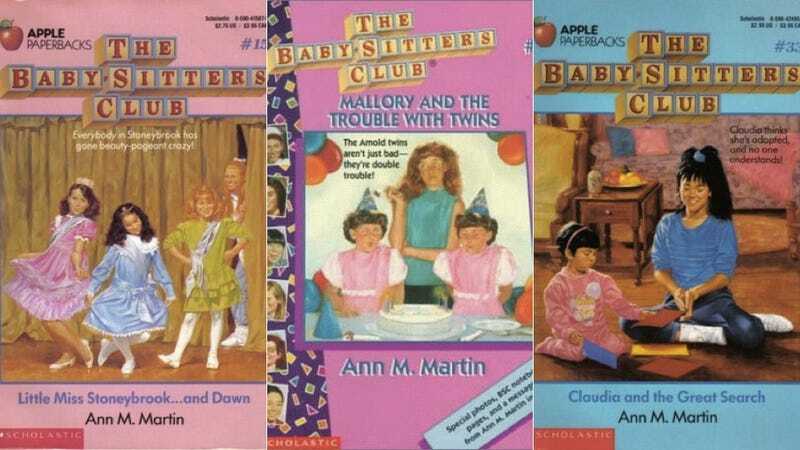 Ann M. Martin, author of the much-beloved Baby-Sitters Club books, recently revealed in an interview with Elle that her favorite character is Kristy: "I feel she set the series in motion." With all due respect to Ms. Martin, the staff of Jezebel disagrees. Here is a very scientific ranking of all the babysitters, from least to most awesome. 11. Karen Brewer: Nobody wants to read about Kristy's younger sibling. Proper BSC or GTFO. 10. Abby Stevenson: The Internet assures me that Abby was a character in this series, but I'm not entirely convinced she isn't a hoax because I don't remember her in the slightest. 9. Shannon Kilbourne: I swear Wikipedia is making characters up. I'm gonna break this whole conspiracy wide open. 8. Mary Anne Spier: Don't get me wrong, she's very sweet. But my main memory of Mary Anne is that she once picked up Little Women to read because watching Beth die made her feel better about her own life. Case closed. 7. Logan Bruno: Seems like a nice enough dude. He and Mary Anne are that couple that breaks up the first semester of college and spend the rest of their undergraduate experience learning to function as autonomous individuals. But he's fine. 6. Stacey McGill: All I remember about Stacey is that she had diabetes. I'm glad I learned about such a serious condition in an age-appropriate and educational manner! But she's still kinda the Samantha of this franchise. (By which I mean boring.) Points for being a fancy big-city girl. 5. Mallory Pike: A tough one. Every kid's series needs a nerd avatar, and redheaded, bespectacled Mallory is it. That said, she suffers from comparison to Meg Murray, another glasses-wearing ginger but with the added virtue of being ANGRY. 4. Dawn Schafer: Dawn was cool. Dawn was from California. Dawn was a cool California girl. 3. Jessi Ramsey: Everybody loves a ballerina. 2. Kristy Thomas: Hero to tomboys and opinionated girls across America. She named her peewee softball team "Kristy's Krushers," which is adorable. Kristy was kind of a Sheryl Sandberg in retrospect, but she runs the show and I respect a boss. 1. Claudia Kishi: She clinches the top spot based on her vests and scrunchies alone. Candy-stashing Nancy Drew fan. Smart but not so much into school. Of course she had a phone in her room. Why am I even still going on? There was never any explanation necessary.